Medicaid is a complicated type of law that is always changing. Many mistakes that people make with Medicaid can be very expensive, especially with the high costs of nursing homes in Michigan. It is amazing to us how many people will rely on the advice of their friends, neighbors, or in-laws when it comes to Medicaid. The same people who would never consider making an investment decision without consulting their financial advisor are more than willing to risk losing tens or even hundreds of thousands of dollars on decisions based on hearsay and guesswork. By the same token, Medicaid workers are not qualified to either interpret the laws pertaining to Medicaid or give legal advice pertaining to Medicaid. Often times, the statements made by Medicaid workers are blatantly false. Unfortunately, we have found that those who work in the field of senior services, no matter how good their intentions are, are just as susceptible to misinformation as the general public. Be very careful to avoid making decisions based on uneducated advice. Consult our experienced Michigan Medicaid attorneys for a free Medicaid consultation here. The practice of law has become very compartmentalized. As is the case with many types of professionals, attorneys tend to specialize. The general practitioner, who must try to stay current on changes in the law in a number of areas simultaneously, is hard-pressed to become an expert in any one area. There are probably not ten attorneys in 100 who really understand Medicaid to any appreciable degree and no more than two out of that 100 who can rightfully be called experts. And getting the wrong legal advice can be very costly. Although a properly drawn and funded living trust provides many benefits, protection from Medicaid is typically not one of them. 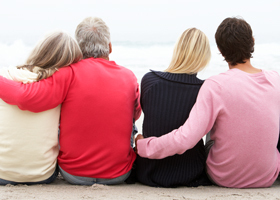 Assets in a revocable living trust are still available to the patient and, therefore, still considered countable resources. There are certain conditions in which a living trust could cause the patient to lose up to 65% more of his/her assets than otherwise would have been necessary. Have your living trust documents ready to be reviewed, and possibly amended by, your living trust attorney. 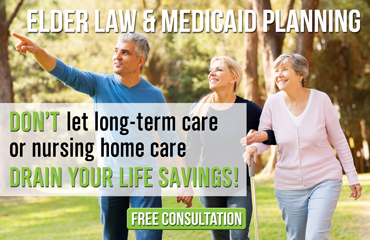 Michigan Medicaid Attorneys at The Elder Law Firm PC provide assistance in protecting your assets and protecting your family through Medicaid planning. Located in Grand Rapids, our Michigan Elder Law Attorneys provide services throughout the lower peninsula of Michigan. Contact us by calling 877-960-5233 or filling out our free online Medicaid planning form here.